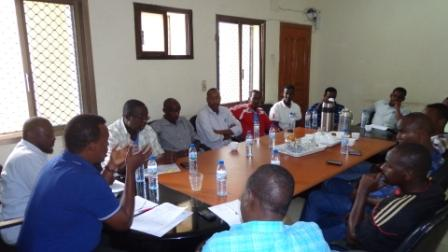 At a lengthy meeting with Division A club authorities at the SFF headquarters in Mogadishu, secretary General Abdi Qani Said Arab announced that the division A league will kick off at the Banadir Stadium on 5th of September with Heegan FC taking on Mogadishu City FC according to the fixtures. 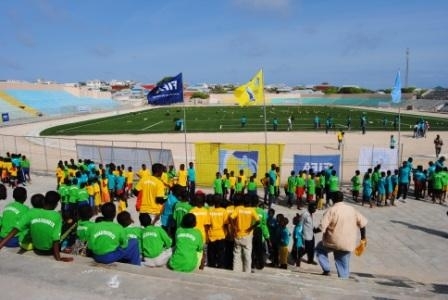 “We are sorry for the delay, because the start date of our league A was April as normal, but due to the yet incomplete reconstruction of Stadium Banadir we postponed the competition and we are hopeful that the facility will be ready before September” SFF secretary General Abdi Qani Said Arab said in a press statement after Sunday’s meeting. 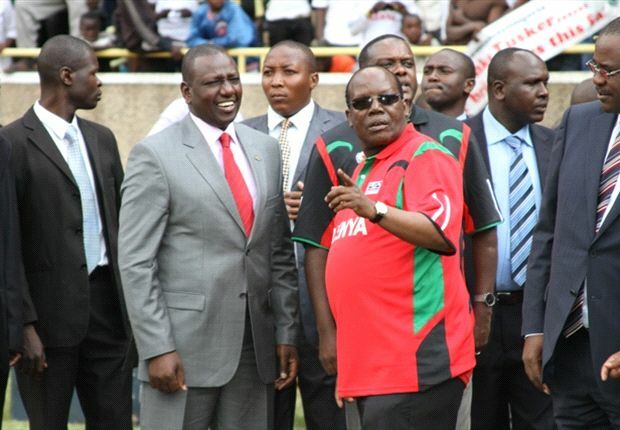 “Most of the construction has been done so far--- the VIP position, the dressing rooms and other minor works are yet to be completed and we are very hopeful that the International football governing body FIFA will complete the project before time to refrain from another postponement” Mr. Abdi Qani Said Arab explained in his press statement. Meanwhile Somalia’s national soccer facility ‘Stadium Mogadishu’ is home to thousands of African Union peacekeepers in Mogadishu who are still reluctant to SFF calls for troop vacation from the Chinese-built facility. The facility could have been an alternative for the SFF to host the Division A league, the most populous sporting event in the war-devastated country. Last year, the SFF failed in two attempts to persuade the AU commanders vacate their men from the facility were SFF wanted to host the 19th edition of it regional football tournament for peace and development. 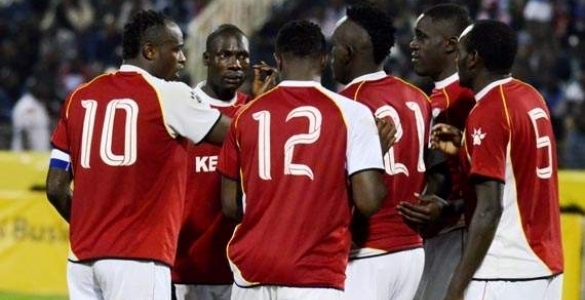 The football for peace event was due in December 2012, but unfortunately all attempts ended in smoke after AU commanders were unsuccessful to fulfil their previous pledges of withdrawing their troops from the facility before December. The warring sides in Somalia deem the facility as a ‘strategic ground’ for tightening the security in the northern parts of the capital Mogadishu and that is why stadium Mogadishu several times changed into a military base for foreign forces or Islamists in Somalia. In January 2007 Stadium Mogadishu became home for thousands of Ethiopian forces who were based there until they withdrew from Somalia on the 15th of January 2009. The facility then fell into the hands of notorious Somali militants who used it as a training base until they were forced out of capital by the joint Somali government-African Union peace keepers on the 6th of August 2011. 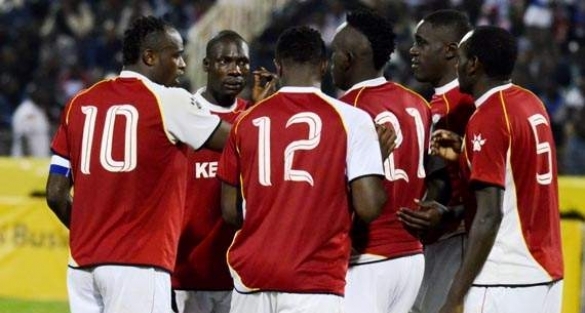 As soon as Islamists ‘forced out’ and Somali Football Federation was hopeful of regaining its place, thousands of African Union peacekeepers established a new base there. However, Somali Football Federation officials are very grateful to the AU commanders of letting them visit the facility at any time they want, but the continuation of military presence at the facility was something very disgraceful to the Somali Football federation who wants the facility to be used for sports purposes as soon as possible.